​Even through endangered, this Sumatran Tiger Cub is playful and full of life in his natural habitat of Sumatra. 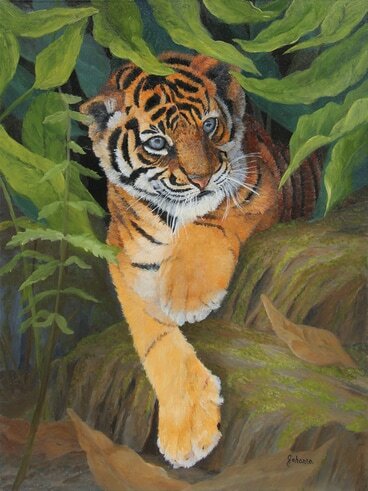 What inspired me for this tiger cub painting was to show others how important it is to protect and preserve natural habitats. Tiger cubs are a sign of hope for the livelihood of the Sumatran Tiger population.